About two years ago1 we discussed the character and sequence of the nine2 states of consciousness as they are taught by a certain school of Occultism in Southern India. As a tentative measure, a comparison was made between this classification and certain doctrines as to states of consciousness put forward in Theosophic writings; a more deliberate consideration of the subject has led us to believe that the comparison, though in the main correct, requires to be altered in certain particulars. To illustrate the comparison and to make the necessary corrections, we shall be compelled to draw up tables of these states, and of certain of their qualities, so that we must from the very commencement give up all pretensions to literary style and form, and seek only scientific accuracy in the various regions of occult physics and chemistry which we enter. Sanscrit. . . . . . . Literal meaning. Swapna . . . . . . Dreaming. Sushupti . . . . . . Dreamless sleep. Swapna. Jagrat . . . . . . Waking dream. Swapna . . . . . . Dreaming dream. Sushupti . . . . . . Dreamless dream. Susupti. Jagrat . . . . . . Dreamless waking. Swapna . . . . . . Dreamless dream. Sushupti . . . . . . Dreamless dreamless. That is to say, there are three groups of states: the waking group, the dreaming group, and the dreamless group. Each of these groups is divided into three phases. Thus, the waking group is divided into three: the waking phase, or ordinary waking consciousness; the dreaming phase, or ordinary sleep, with dreams; and the dreamless phase, which is sound sleep, without dreams. So with the second and third groups. The waking, dreaming, and dreamless element of each group may perhaps be best described as the active phase, the passive phase, and the neutral phase of these groups. In the first group, for example, waking consciousness is the active phase, because in it we have the positive feeling of acting on the outer world; of working upon our surroundings, and producing positive and active results. In fact the waking world is characterized by what Krishna would call “the illusion of action”. We have called dreaming the passive phase, for we are in dreams the passive recipients of impressions from the objects of our dreams which are now positive to us, so to speak, instead of being negative to us, as the objects of consciousness in the waking world are. It makes no difference to this argument that we ourselves, or rather our own images often take an active part in our dreams; for we never, even when dreaming, identify ourselves with this counterfeit presentment of ourselves, but look on it as something separate and external of which we are passively conscious. The dream state is characterized by the “illusion of inaction”. As in dreamless sleep neither of these illusions is present, it is a neutral state. This triple classification runs through the whole of nature; for example, bodies may be positively electrified, negatively electrified, or unelectrified; bodies may be paramagnetic, diamagnetic, or non-magnetic. These various states of magnetism and electricity are correlated with the states of consciousness we have mentioned, as are similar states of all the forces of nature—the occult forces as well as the rest; in fact the phenomena which are possible in any of these states of consciousness and the whole character of each state depend entirely on the combination of the phases of force which are correlated to that state. But for the present we must drop this fascinating branch of enquiry, which, however, is fully worked out in the Occult schools. The two higher groups have each a positive, or active phase, a negative, or passive phase, and a neutral phase. Before assigning to them their places in the order of nature, we had better explain a little more fully the domain of each of the three great groups. The first group, with its three phases of waking consciousness, dreaming, and dreamless sleep, belongs to life in this world. The second group is the group of death, but still belongs to this world, as it is the group of the phenomena of death between two incarnations in this world. The third group does not belong to this world, and yet is related to it; for it is the group of the world beyond death which is passed through in connexion with the life of this world and its evolution. Here a caution is necessary. These nine states of consciousness do not exhaust the universe. They do not even exhaust the planetary chain to which we belong. Instead of nine states we should have to write ninety times nine, and even then we would be within the limits of the varieties of consciousness within our own system, much less the whole universe. This caution applies equally to what we shall have to say of occult chemistry and the ethereal elements. The three phases of the second group—to return to where we broke off—are the three states of death, active, passive, and neutral; that is, the state we reach first, on leaving this world, which has been called Kama Loka, or the World of Desire; then the passive heavenly world which follows—Devachan, the world of Heavenly Dreams; and, thirdly, the neutral state which follows Devachan, and precedes re-incarnation. The first phase of the third group, the active phase, is the period which elapses after the wave of life has left one planet of the chain and before it has re-incarnated on another planet. The second, the passive phase of the third group, is the period of negative consciousness, passive rest, and dreamy receptivity between two planetary rounds. The third phase of the third group, is the dreamless quiescence, and suspension of all activity between two Manvantaras, or planetary periods of seven rounds. It is not Nirvana, but it is the outer garment of Nirvana. To sum up: the first group is the group of life on a planet: the second group is the group of death on a planet; the third group is the group of ultra-planetary existence. Group I., Life on a planet has three phases: waking, dreaming, and dreamless sleep, or active, passive, and neutral. Group II., Death on a planet has three phases: waking death, or Kama Loka ; dreaming death, or Devachan; and dreamless death, or the unconscious period after Devachan. Group III., Ultra-planetary life has three phases, that between two planets, that between two rounds, and that between two Manvantaras. 2. Dreaming . . . Dreaming. 3. Dreamless . . . Dreamless sleep. Group II. The passive or negative group: death on a planet 1. Waking . . . Waking dream. 2. Dreaming . . . Dreaming dream. 3. Dreamless . . . Dreamless dream. Group III. The neutral group: ultra-planetary existence 1. Waking . . . Dreamless waking. 2. Dreaming . . . Dreamless dream. 3. Dreamless . . . Dreamless dreamless. A key to the nature of the Kama Loka, and the consciousness between the two planets, is placed in the hand of the student by their analogy with waking life, of which they are passive and neutral sides, respectively. Similarly, a key to the consciousness of Devachan and the period between two rounds, may be found in their analogy with dreaming in sleep; and it will help students to understand the period after Devachan, and the death beyond death between two Manvantaras, which is the garment of Nirvana, if they remember its relation to dreamless sleep. Before proceeding to analyse the constituents of these states of consciousness, we must briefly recapitulate a certain doctrine, on the right understanding of which depends the fruitfulness of further enquiry in this direction. This is the doctrine of emanations, which we can only sketch very briefly at present: students who wish to study that doctrine more at length, may be referred to a former article on the subject3, or to certain chapters in the “Secret Doctrine”, published about a year and a half after the article in question was written. The doctrine of the emanations begins with imagining the formless, nameless Reality, Parabrahm, unchangeable through all eternity, or rather beyond time, and above eternity, as it is beyond and above space. With it rests its first emanation, which is in a sense no emanation, but rather the positive realisation of the negative Parabrahm—the Logos, or the Congeries of the Logoi. This pseudo-emanation of the Logos, is called in the East, Mahat: it is the plane of pure, spiritual life. From Mahat proceeds the emanation of ether, or, Akash. It is the plane of sound, or, to speak more philosophically, it is the potentiality of infinite variety of sound. From ether, or Akash, proceeds the emanation of Fire; it is the plane of light and color, or, as before, the potentiality of an infinite variety of colors. From Fire proceeds the emanation of Air; it is the plane of extension, and corresponds to the sense of touch and heat, the cause of extension and expansion. From Air proceeds the emanation of water; the plane of molecular motion, fluidity, and corresponding to the sense of taste. From Water proceeds the emanation of earth, the extreme pole of the manifested universe, and of materiality. It is on this plane that we are situated during our present life. In this plane, the lowest, as in all the higher planes, all the five objective elements—earth, water, air, fire, and quinta essentia, or ether are represented; all these elements on all the planes further contain the element of spirit corresponding to the Logos, on the plane of Mahat; without this element of spirit, not one of these elements could be manifested or could exist. This ever-present element of Spirit is the cause of all evolution and emanation, universal as well as particular. In the plane of earth, as we have said, all the elements are represented; but these elements are not in their pure forms; they are all compounded with earth; and are of the earth earthy. Moreover each of these elements contains the potentiality of all the others: the real formula for any element is tremendously complicated, but we may give an approximate idea of their character by an illustration. Let us take the element of water on this plane, and suppose it made up of twelve parts; of these five will be of the element earth, as the compound we are considering belongs to the plane of earth; three more will be of the element water, as we are dealing with a form of water; the other third will be composed of one part of each of the other elements, air, fire, ether, and spirit. Let us illustrate this. It is owing to the presence of these diverse elements that any known liquid is capable of affecting the senses of sight, touch, taste, and smell at the same time. The formula we have given does not apply to any particular liquid; the actual formulas are vastly more complicated. To determine the occult formula of any particular substance, and thereby to learn the secret of its creation, as modern chemistry can create many of the hydro-carbons by applying a formula, we must consider the character of every element that enters into it. For example, take the substance called bisulphide of carbon; occult chemistry would set about creating or “precipitating” it as follows: hold in your mind that you require an element on this plane; this furnishes the five parts of earth to the compound; then add the idea of liquidity; this supplies the three parts of water in our general formula; then add the idea of the peculiar smell of the substance, supplying the pure element of earth, in that particular modification which corresponds to the required smell, for the pure element contains the potentiality of infinite variation; in fact this is what is meant by calling it an element. Further must be added the characteristic taste and colour, the capacity for sound, which correspond to the other factors of our formula; let these all be combined in the mind, and only one thing is necessary to make the element appear from the plane of thought to the material plane, to make it come into objective existence, or “precipitate”, to use the modern phrase; the one thing needful is to infuse the element of spirit. But this one thing is the secret of the Creator; of the Logos; and therefore it is that to create an element, the chemist must use previously existing material, as also does the adept, though the material he works with is on another plane. This long discussion of the elements is necessary to shew that from their exceedingly complicated nature, they are not inadequate to supply the wide range of sensations of every sense, and to compose the infinite variety of nature, on all the nine planes of consciousness we have mentioned, and on the endless planes we have only hinted at. Mahat . . . . . . Spiritual ether, fire,4 air, water and earth. Ether . . . . . . Ethereal ether, fire, air, water and earth. Fire . . . . . . Fiery ether, fire, air, water and earth. Air . . . . . . Aerial ether, fire, air, water and earth. Water . . . . . . Watery ether, fire, air, water and earth. Earth . . . . . . Earthy ether, fire, air, water and earth. This really means that on each of these planes there is the possibility of five kinds of sensuous perception, or that there are five senses on every plane, each of which will respond to innumerable varieties of sensation, within the limits of that plane. The characteristic of the plane of earth is solidity, not expansiveness, but resistance to muscular effort; in fact, rigidity and permanence. This rigidity and lastingness are the characteristics of waking life, based as it is on the emanation of earth. These qualities apply to the manifestations of the other elements on the earth-plane, so that we have fixity of color, taste, sound and smell in the objects of waking consciousness. Of course we do not pretend to describe comprehensively the world we live in with its myriad beauties by these few adjectives; no dry, scientific definition can ever do more than isolate and determine one or two specially selected qualities. The characteristics of the water plane are fluidity, flux and flow, change and intermingling. On that plane, therefore, we have colors, tastes, sounds and forms interflowing, changing, passing and transforming themselves incessantly. It is much more difficult to characterize the air-plane; but the fullest consideration has led us to attribute to that plane heat as well as expansion, which are correlated as cause and effect. This would lead us to such characteristics as motion, transmutation of qualities and a series of interactions and transfusions between different elements. The characteristics of the fire-plane would seem to be that all the qualities of taste, smell, hearing and touch, considered as sources of pleasure, would be raised to the same pitch of power and universalness as the sense of color possesses even on this earth, the sense of color being in the same proportion raised to an unearthly splendor. Of the plane of ether, and the spiritual world of Mahat it is difficult to speculate usefully; we can only guess that in the former the elements as we know them will be raised to an intense activity, and will produce sense-illusions of unparalleled magnificence, while in the latter they will be transmuted, and receive a new and transcendental value. We are led by analogy to conjecture that the Air-plane, so-called, may be the field of Kama Lokic experiences; the transmutation of qualities we have postulated for it agreeing well with the transmutation of Karmic qualities which is attributed to Kama Loka. We have omitted the condition of dreamless sleep, as, being neutral, it has no external world: this also applies to the period after Devachan; thus reducing the nine states to seven, and thus shewing the connection between this classification and the Septenary one. If Kama Loka be life on the air-plane, as we have supposed, then analogy would lead us to place Devachan on the plane of fire, or more properly, color; what we have said of the power and universalness of the pleasure-producing qualities on that plane tends in this direction. As we have already said, the period after Devachan has no outward world, so that we may suppose the planes of ether and Mahat to be the fields of the two rest-periods between planets, and between rounds. 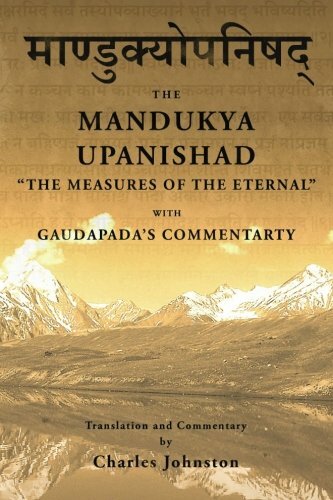 The last neutral period, after a Manvantara, has to do with no objective plane; the Nirvana of which it is the garment, and which is the reward of all who have wisely reaped the fruit of the Manvantara, has to do with no objective world, but with the subjective Logos. Though these are only speculations, it may be interesting to illustrate them by a table. Table of supposed relations between the states of consciousness and the emanations. STATES OF CONSCIOUSNESS. EMANATIONS, OR PLANES. 10. Nirvana Logos . . . 7. 9. Period between two Manvantaras . . . (neutral) . . .
8. Period between two rounds . . . Plane of Mahat . . . 6. 7. Period between two planets . . . Plane of Ether . . . 5. 6. Post-devachanic period . . . (neutral) . . .
5. Devachan . . . Plane of Fire . . . 4. 4. Kama Loka . . . Plane of Air . . . 3. 3. Dreamless sleep . . . (neutral) . . .
2. Dreaming . . . Plane of Water . . . 2. 1. Waking life . . . Plane of Earth . . . 1. Before dropping this part of the subject, we would ask our readers to remember that we have pointed out that every one of the planes, or emanations contains all five elements, together with spirit; and that the possibilities of these planes are not limited to the element we have designated them by; this is only the dominant element of that plane, and not the only element on it. So far this occult chemistry is purely materialistic; when we resume the subject, we shall show its connection with subjective transcendental idealism, and spiritual philosophy. 3. Vide “Tide of Life” in Path for April and May, 1888. This was written in July, 1887. 4. Rightly understood, the object of the religious adoration of the Parsees.